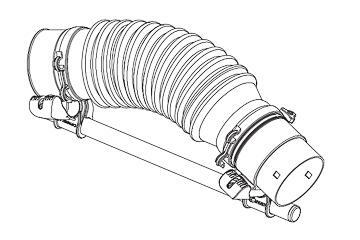 Adjustable deviator for M1200 - Cifarelli S.p.A. The adjustable deviator is an accessory designed to adjust the direction of exit of the product for treatment. The user can autonomously adjust the outlet angle of the product so as to be able to better irrigate the crops.